The Thompson family have ben farming at Lyde Farm since 1960. The farm covers 74 acres and is all on a clay soil. The farm has had a range of products during our time here including 30 acres of Blackcurrants on contract to Ribena, 35 acres of corn and peas along with 6 acres of potatoes. We have also had 1500 breeding turkeys for Frank Dale at Caynham Court in Ludlow. 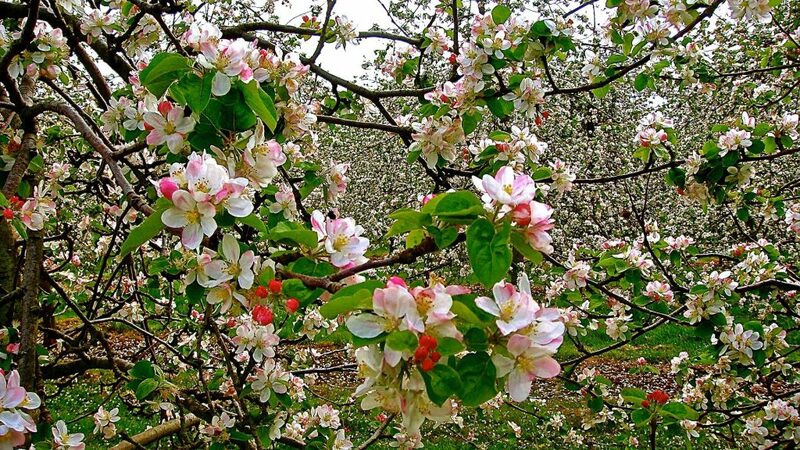 The first Bramley trees were planted in 1985 and we now have 19 acres of cropping Top Fruit on the farm. Varieties include Bramley, Cox, Discovery, Egremont Russet, Gala and Red Windsor. We also have 42 acres of Cider and Perry trees.